Size: 5 1/4" x 6 1/2"
Description: This is a Dr. 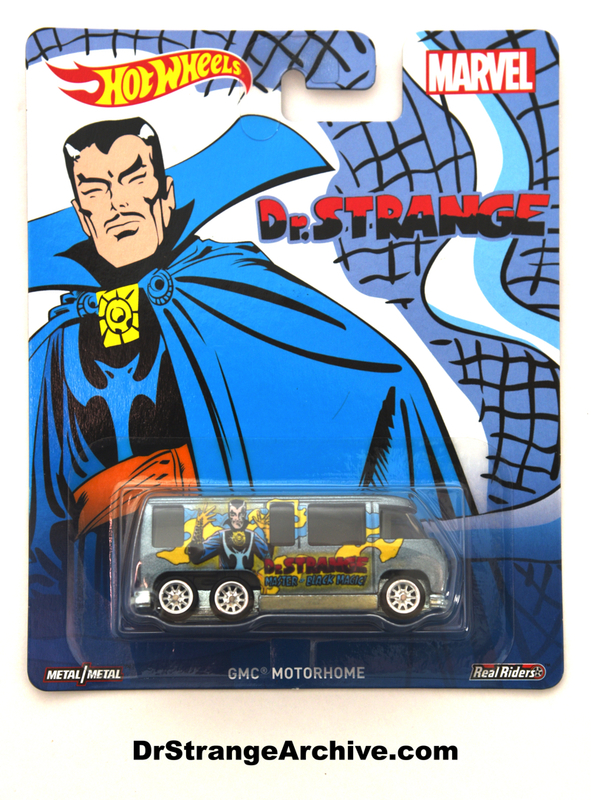 Strange Hotwheels GMC Motorhome. It has dual rear axils and the very first image of Dr. Strange form Strange Tales 110 Master of Black Magic on the side. The vehicle measures approximately 3" long. There are several reference numbers on the back of the card: TPN 5_K7, DJG97-4B10, DLB45.